Will Yaya Touré sign a pre-contract with another club? Ivorian midfielder Yaya Touré is not enjoying his time at Manchester City under new coach Pep Guardiola, and the four-time African Player of the Year’s agent has revealed that he will make a move from the Citizens in due course. The combative midfielder was not included in the team’s UEFA Champions League roster, and has not formed part of Guardiola’s plans for the most part thus far. Having decided not to transfer during the recently-closed market window, Touré will have to remain at City until January’s window opens, at the very earliest. Touré’s outspoken agent Dimitri Seluk says that the Côte d’Ivoire international will be able to choose from a flurry of offers that are expected to arrive from clubs in China, the US and Europe. 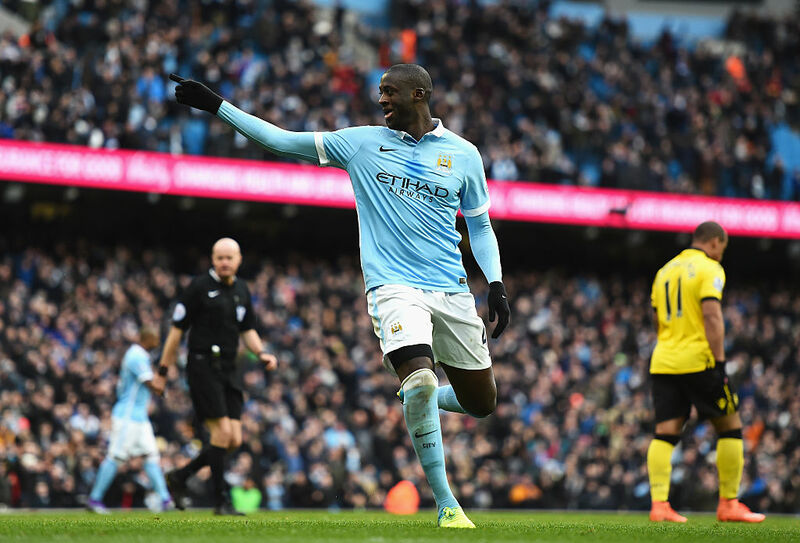 ‘Yaya in January can sign a pre-contract agreement with clubs abroad,’ Seluk said. ‘He will have many offers from clubs. China and America of course, they want him, but we will have a lot of offers from England and Europe,’ the agent added. ‘He is in very good shape, very good condition, I think he lost seven kilograms. Maybe that’s not good enough for Guardiola, but then Zlatan Ibrahimović wasn’t good enough for him [at Barcelona]. In January we will see. It is three months to wait — no problem. Yaya is a very professional guy,’ he said. The 33-year-old former Barcelona player is in the final year of his contract at Manchester City, and with the 2017 AFCON only a few months away, his focus may be split between defending the Nations Cup title with his country, and sorting out his club future.